I’m not sure how to preface this review of Saskatoon-based Beth Goobie’s young adult novel Hello, Groin except to admit it: I have mixed feelings. 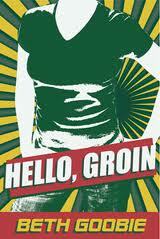 On the one hand, Hello, Groin is as earnest a teen novel as you’ll ever find. I really appreciated this quality. It’s also heartwarming as hell, which (young) adults or not, is something we all need a little bit of now and then. On the other hand, there were quite a few things that irritated me while reading this book—kind of like an itchy sweater. Mostly, it was the combination of shaky characterization and clunky storytelling that eventually got to me. Either of these on their own would have been frustrating, but the two together really took away from some of the positive experiences I had reading the novel. Here’s what I mean by ‘clunky’ storytelling: the novel is written almost like a teenager would have written it. I don’t mean that Goobie has captured and translated a teenager’s voice, or creatively expressed the way(s) teenagers think. It’s that literally this novel sometimes reads like something I would have written when I was in high school. It reads like a teenager trying out her hand at writing a novel about high school. This actually makes the novel feel inauthentic: it’s like an obviously fictionalized version of a teenager’s life, with the corners cut and sewn too neatly to resemble anything that I know of high school. This isn’t all bad: it’s quite possible some teenagers might respond positively to the novel because of this very style. But it does make for some plain awful storytelling, the kind of writing that does those very basic things writing classes tell you not to do. For example, Goobie often gives us extraneous, mundane details for no reason. Sometimes, the same boring irrelevant details more than once. Okay, I get it: the protagonist Dylan bikes over the Dundurn street bridge every day on her way to school. No need to tell me the name of the bridge again (side note: this detail appears to mean that the novel is set in Hamilton, Ontario, and not Saskatoon, which is what I initially assumed given that’s where Goobie lives; although, I can’t find a way to fit in the names of the secondary schools mentioned). So, the novel falls into that unfortunate and irritating narrative pattern of telling the story like this: “and then she did this, and then she walked there, and then she met so-and-so.” I get that Goobie is trying to sketch a picture of Dylan’s everyday life, but less is more here. Like the writing, the characterization is uneven. Dylan is for the most part a young woman whom you grow to like and empathize with. She’s got a bit of a temper, she’s trying to figure out where her strengths are (sports? arts? English? ), and she’s feeling the pressure of the popular kids to fit in. Her angst about her queerness is tangible, if over-the-top, and I honestly identified with a lot of her anxieties. You see, Dylan is in love with her best friend Jocelyn (Joc for short). And here’s my big problem: I feel like I never understood or got to know Joc at all. I never got why Dylan liked her so much. Joc’s personality simply wasn’t fleshed out enough; her boyfriend Dikker was actually more of a dynamic character—and Goobie does a good job making you really irritated with him, like Dylan is, and wondering what the hell Joc sees in him. Unfortunately, this kind of made me dislike Joc, and feel further confused about what Dylan saw in her. As far as romantic pursuits went, I was actually rooting for “hot lips Sheila Warren,” a plain tomboyish girl who puts the moves on Dylan outside a dance at another school; she turns into a bit of a stalker, following Dylan around the mall, but I somehow found this cute instead of creepy. At least Sheila had a palpable personality. And she’s an outsider, so more my type of woman. The climax of the novel, of course, is that Dylan comes out to her boyfriend and breaks up with him, and she and Joc finally get together. Unfortunately, what should be the most exciting part of the book just didn’t resonate with me. And trust me, I love a good romance, and I love, love, love, the part where they finally get together in the end. The problem is that I never felt any tension and attraction between the two friends. Goobie didn’t communicate it. And because of this, their union felt rushed and contrived. I just couldn’t root for the couple—no matter how hard I tried! I didn’t really believe that Joc liked Dylan; it’s not that Dylan isn’t likable—she is. And Goobie draws her fully enough for us to know that. But I just wasn’t convinced Joc liked her. The novel also admirably deals straight-forwardly and frankly with teen sexuality, and nonchalantly with underage drinking and smoking pot. You know, things that teenagers actually do and talk about. Dylan recalls masturbating multiple times, tells us about sleeping with her boyfriend the summer after grade nine, and tells girls off for not using condoms with boys she knows have slept around. She gets a little tipsy a few times, and it’s not really a big deal. I also really enjoyed the subplot about censorship and freedom of speech: Dylan designs a display for the library, which for reasons of course related to sexuality and queerness, gets changed by the principal without her permission. Overall, I would say Hello, Groin is worth a read, especially for teens around 14 who are dealing with issues around coming out; but it’s not the kind of YA novel I would recommend to older teens or adults, or anyone, teen or otherwise, who’s picky about writing style. Or, about the word groin, which features throughout the novel, and not just in the title. 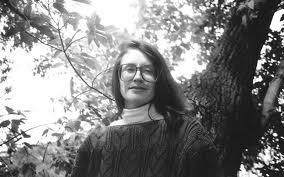 This entry was posted in Canadian, Coming-of-age, Fiction, Lesbian, Queer, Young Adult and tagged books, literature, teen literature, teen novel. Bookmark the permalink.